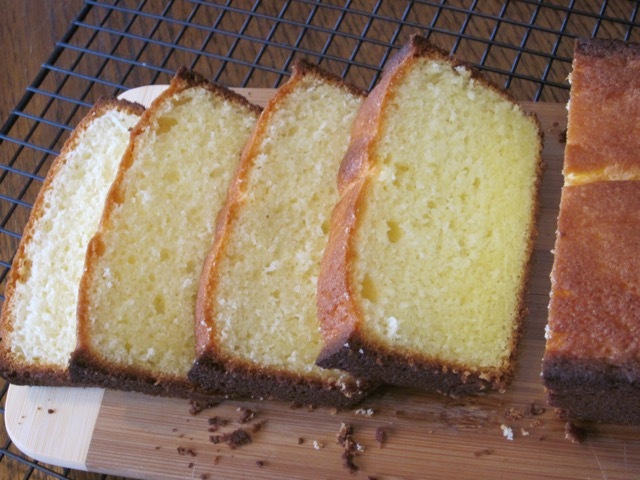 The pound cake is a rich buttery cake that’s traditionally made with a pound each of butter, sugar, eggs, and flour. 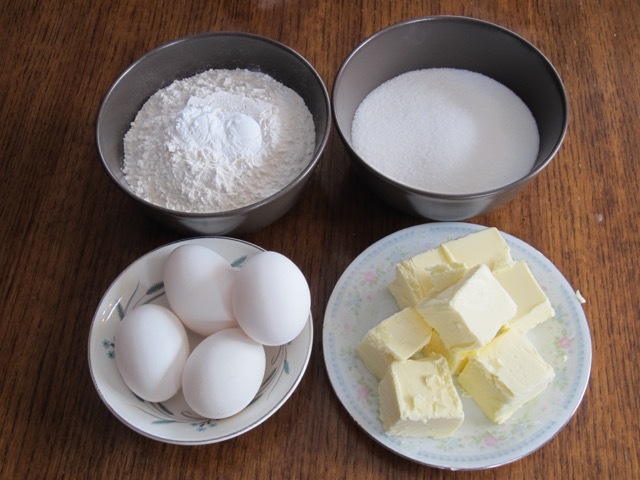 Pound cakes are generally baked in a loaf pan or a Bundt mold, and served, dusted with confectioners (icing) sugar, lightly glazed, or sometimes with a coat of icing. Variations to the basic pound cake are endless; you can add vanilla essence; dried fruits like cherries, sultanas or raisins; add some chocolate or cocoa powder to half the mixture a make a marbled pound cake; swirl some melted chocolate and make a swirled version of the cake. I leave it to your imagination. We have a nice sunny day…sending tons of sunshine your way. Enjoy the remainder of the weekend! Gradually fold in the flour. Transfer to the greased and floured baking pan(s). Bake 45-50 Bake until golden and a skewer inserted comes out clean. With a close grained texture. Grease and flour or line with parchment two 9 x 5 (23 x 13cm) pans. 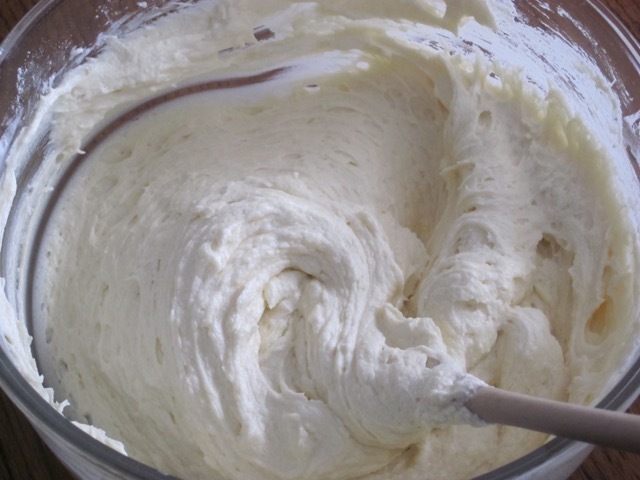 Sift or whisk the flour and baking powder. Set aside. Preheat the oven to 325ºF (160ºC) ten minutes before using. 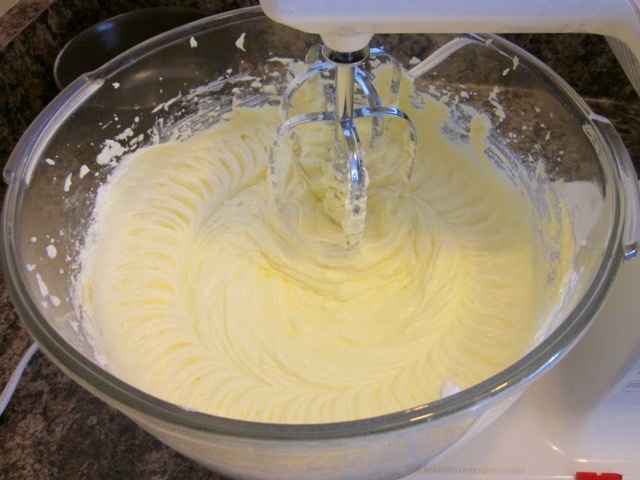 Cream the butter and sugar together until very light and fluffy (several minutes). Spoon into to the prepared pans and bake 45-50 minutes or until a skewer inserted in the middle comes out clean. Please note that oven temperatures are given as a guideline only. You may need to add or reduce the suggested temperature depending on your oven. 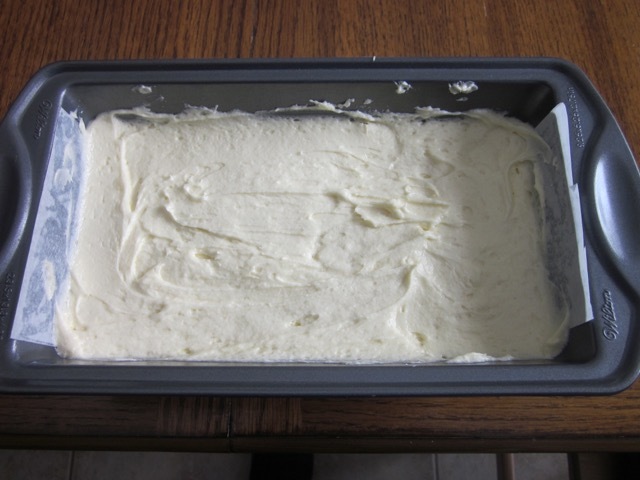 I baked the cake at 325ºF (160ºC) for 50 minutes. I halved the recipe and made one 9 x 5 inch cake. P.s have three slices, please! I, too, love pound cake, Liz. It’s fine when served alone but you can also dress it up in any number of ways. Thanks, again John. Best wishes! 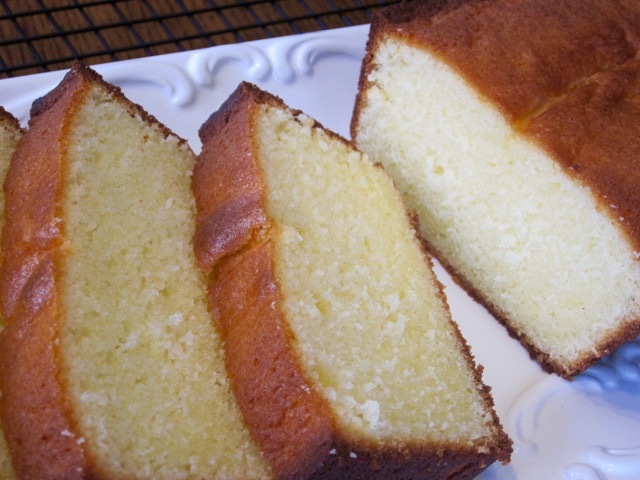 There is something about a classic pound cake. Especially in the summer smothered in fresh strawberries and whipped cream. I would love that, very much, thank you! A great treat on a warm and lazy summer day, for sure! 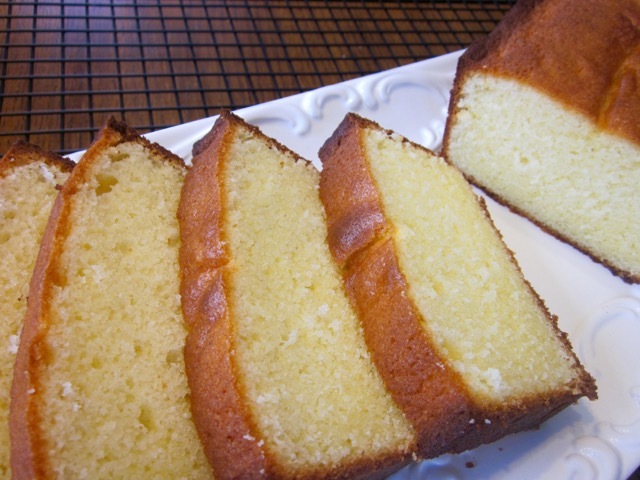 With pound cake this delicious, the options for accompaniment are endless, but I bet this is perfect all by itself! Thanks, Debbie. I love the basic one too! Oh, yum. Yum, yum, yum. Simple and perfect! 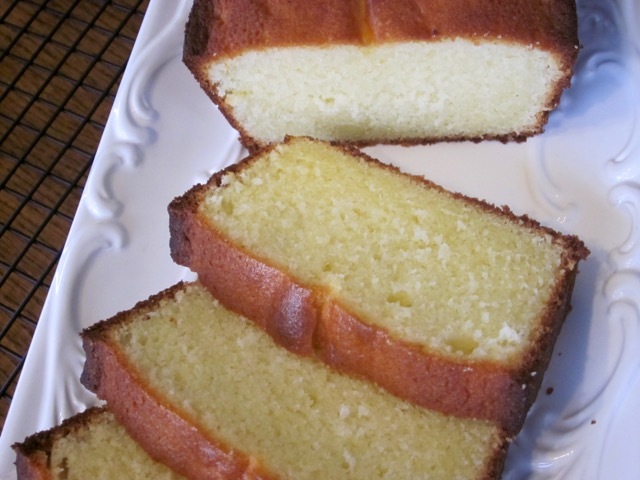 Pound cake has always been a favorite of mine. So quick, easy and good tasting. So many things you can do with it or just eat it plain and delicious. 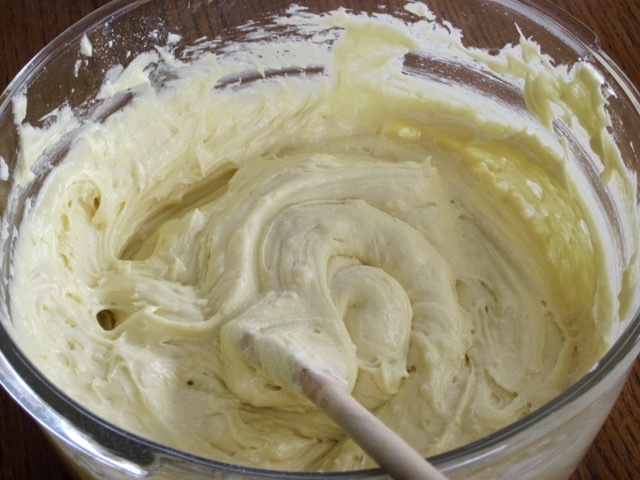 My grandmother used to make it too…I wonder how many people grew up eating it? Probably a lot! My grandmother used to take the last bits of dried pound cake, make a custard, spoon it over a piece and add some fruit such as raspberries or blueberries…. so good. I’m happy to announce that the sun shone when I arrived home and was much appreciated. Today it rained off and on, but that was ok, as I had unpacking and indoor things to do! Good to be home, but…….maybe next year! Hope things are goig well with you and your family Liz! Life has been good here. There was lots of sunshine today, and I was baking and actually sweating. It was amazing. Pound cake is such a blessing. I made one with some cherries and served it with some custard, the other day. It was so good so I know what you mean. Welcome back to Canada. We are also going to have quite a bit of rain this week but I don’t mind because temperature are going to be in double digits. I hope they never go down again, soon. Good luck with unpacking and I hope you have a pleasant week! Is that a new Gravatar? Oh well liz and myfavouritepastime are one and the same. Thanks for paying attention. Gives me an opportunity to think about it! 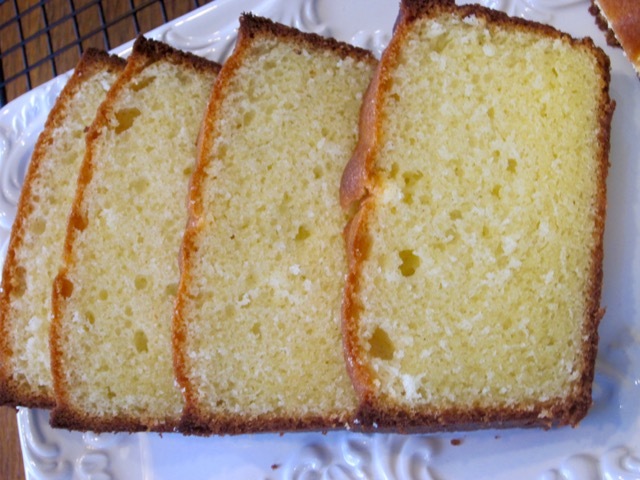 My grandmother used to make a fantastic pound cake. Hers and your recipes are almost identical. I must try yours. Thanks for posting. 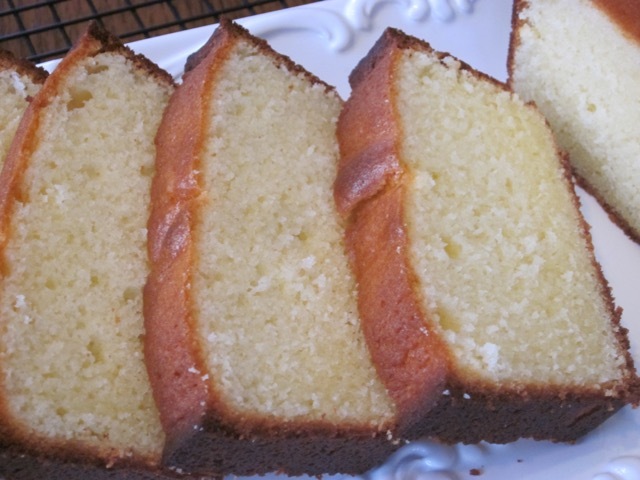 I bet every grandmother who baked, back in the day, must have made some pretty good pound cake. It was good while it lasted. I love Pound Cakes. Your cake looks amazing! Thank you, my friend. You’ve been rather quiet, and I”m really glad to see you!